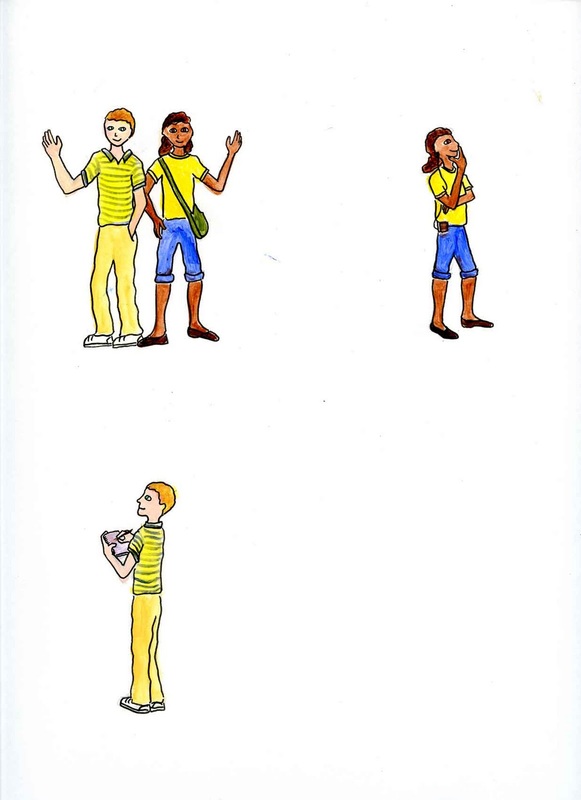 Mercury, by Hope Larson (Athenium Books, 2010). 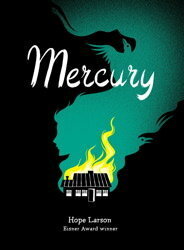 A moody YA book that mixes history, romance, family secrets, and magical realism, Mercury tells the parallel stories of two teenage girls in Nova Scotia, one in the 1850s and one in the present. Josey Fraser, the girl in the past, falls in love with a mysterious stranger who has found gold on her dad’s property, but her premonitions of tragedy soon come true. Tara Fraser, one of Josey’s descendants, is a runner who finds a mysterious locket and unravels her family’s history, while also falling for a boy at school. The story is starkly drawn in black and white, and I loved the near-wordless climax that involves a man-faced crow and a contracting spiral pit with hundreds of snakes. Bayou vol. 1, by Jeremy Love (DC Comics 2009) Bayou vol. 1 is a deeply disturbing story set in the sharecropping Louisiana of the 1930s where racism and lynching for minor offenses is widespread. Lee is black child who can see swamp monsters and child angels, and who witnesses her white friend being swallowed whole by the (white) monster Cotton-Eye. Her father is accused and jailed for the girl’s disappearance, and Lee ends up on a trek to save him from a lynching, with the help of the (black) swamp monster Bayou. The story is dark, scary, and violent, but told in muted and warm colors. 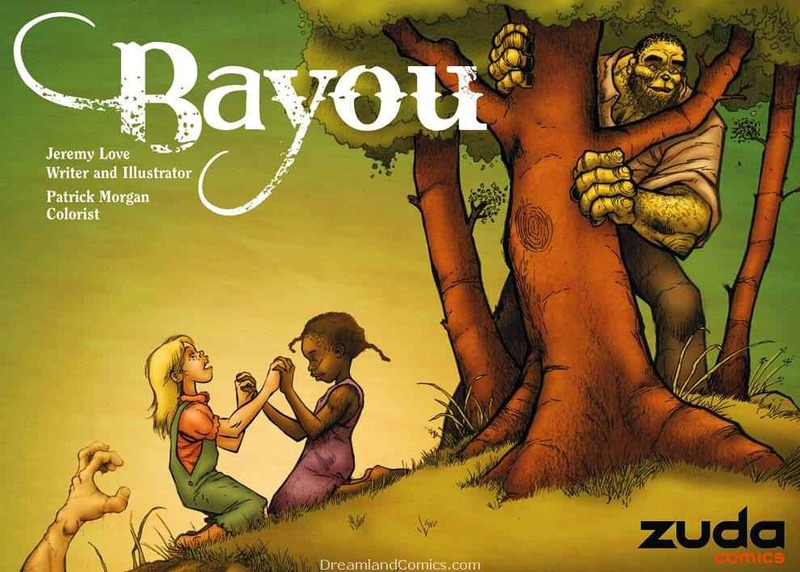 Bayou uses surreal magic and monsters to tell the nightmarish truth of unmitigated racism and its violent legacy. 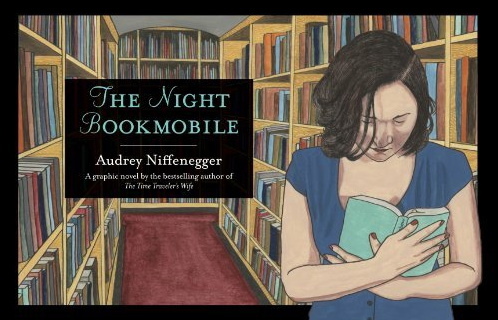 The Night Bookmobile, by Audrey Niffenegger (Abrams, 2010). Although bound and presented like a children’s picture book, this is not one for the kids. Alexandra is a book-lover who encounters the Night Bookmobile, which turns out to be a magical, personalized library of every book she has ever read. She encounters this Airstream camper only a few times in her life, but it captivates and causes her to pay an increasingly high price to keep it a part of her world. I didn’t love the artwork, except for the kind, gentlemanly librarian whose expressions are perfectly rendered. 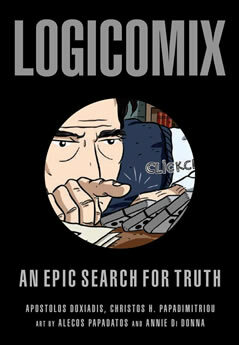 Logicomix, by Apostolos Doxiadis and Christos H. Papdimitriou (Bloomsbury, 2009). This is a fascinating introduction to the life and ideas of mathmetician/ philosopher Bertrand Russell, told in graphic novel form. The book impressively and ambitiously captures the tumult and passions of the search for the foundations of mathematics and logic in the early 20th century, and throws in romance, madness, history, and the Greek play Oresteia. 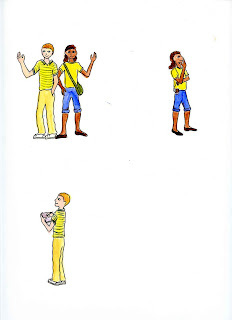 A neat trick that keeps the story accessible is having the authors and illustrators insert themselves at various points in the story, debating how to present it most effectively. I always like books that teach me something in an entertaining way, and finding one that does so in an artistic and visual medium is a nice bonus. 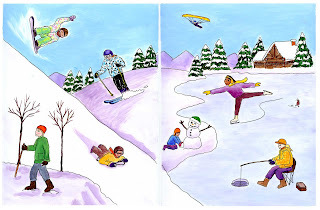 The Magical Life of Long Tack Sam, by Ann Marie Fleming (Penguin, 2007). This is an illustrated memoir of a filmmaker who travels the world to unearth the story about her great-grandfather, a Chinese acrobat and magician named Long Tack Sam, who was one of the best-known vaudeville acts in the early 20th century. Told in a mixture of cartoons, photos, old ads and newspaper clippings, and comic book stories (which each describe conflicting versions of his early life), the book reads like a wildly annotated family scrapbook. The author discovers the fascinating story of Long Tack Sam's life, who survived wars and racism, whose interracial marriage to an Austrian woman made newspaper headlines in 1908, and who was a worldwide legend in his field, and wonders why her own family and the modern world know little about him. Luckily for us and thanks to this book (which is an adaptation of her film on the same topic), we now know a bit more. 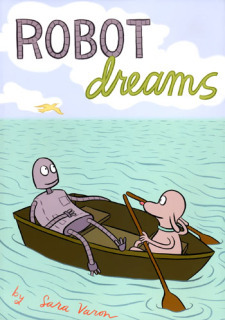 Robot Dreams, by Sara Varon (First Second, 2007) This is a wordless graphic novel for kids that I read with my girls (9 and 6), with equal parts pleasure and dread, because I didn’t know while I was reading it whether it would have a happy ending. A dog mail orders and builds a robot friend and together they embark on adventures. They are separated by bad luck (even my kids knew that robots shouldn’t swim in the ocean or they would rust) and time, and most of the book consists of the bittersweet efforts of the two trying to resurrect their friendship -- the robot in his rust-encrusted dreams and the dog in his efforts to find replacement friends. 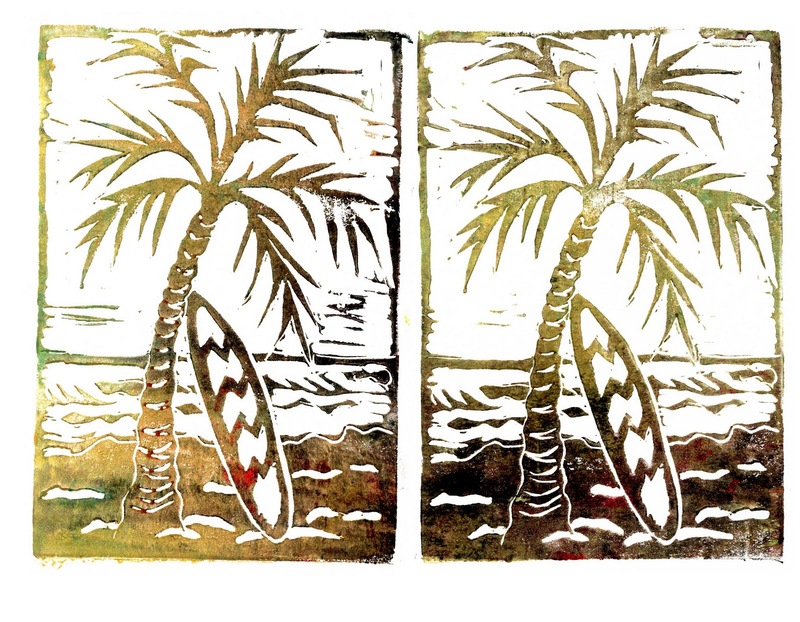 The ending is not happy, and not sad, but thoughtful, hopeful, and melancholic. I enjoyed the super simple graphics, the expressive characters, and the exploration of what friendship means, but my kids did not get the simple happy ending they craved. David Wiesner is one of those author/illustrators who, after you discover one of his books, will cause you to run to the nearest library to check out everything he's ever done. 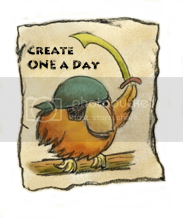 His recent picture book, Art and Max (Clarion Books, 2010) is just as inventive and visually stunning as his three Caldecott-winning books (Flotsam, The Three Pigs, and Tuesday), and his two Caldecott-honor books (Sector 7 and Free Fall). But this review is not about those books. 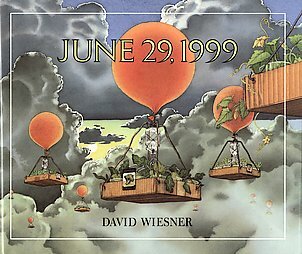 It's about June 29, 1999 (Clarion Books, 1992), one of his older stories, which contains many of his signature touches: surreal floating items in otherwise realistic settings, clever and beautiful visuals, exquisitely rendered detail, and a delightfully whimsical story. In June 29, 1999, a girl sends vegetable seedlings into the upper atmosphere as a science project. Soon giant vegetables fall to earth ("Cucumbers circle Kalamazoo. Lima beans loom over Levittown. "), each page crazier and funnier than the last. The twist at the end is that these are not her vegetables, somehow transformed in space, but instead are the accidental kitchen scrapings of a clumsy alien cephalopod. The real reason I love it, though, is my 6 and a half year old's reaction to it. She read it to herself as I was driving and giggled her way through the story. Her review: "I loved it! The vegetables had such great adventures!" 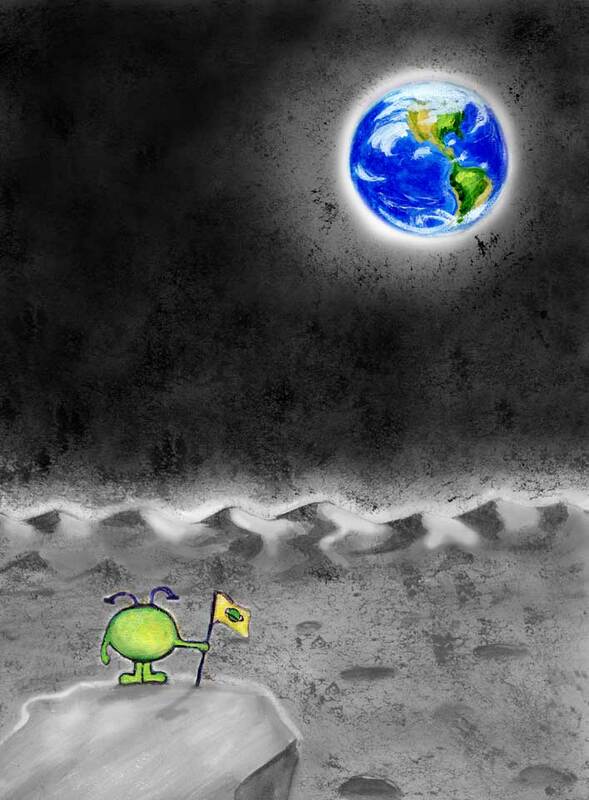 Even though it was dusty on the moon, Zippy had a great view of the Earthrise. 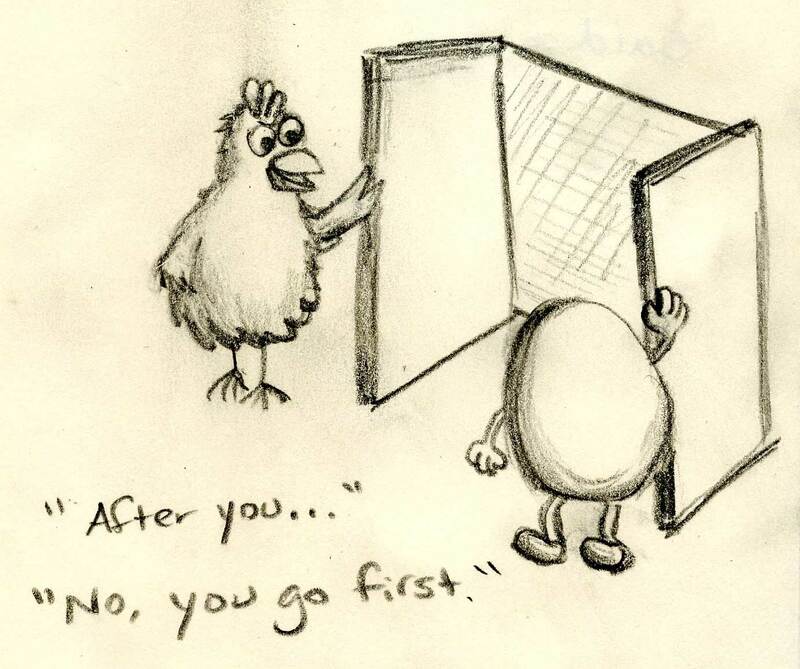 We still don't know the answer to the age-old question. 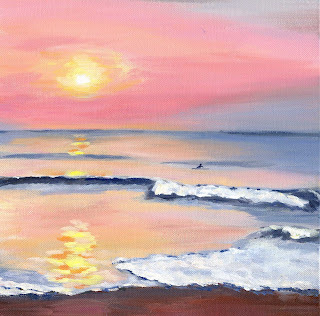 . .
On this cold winter day, I'm warmed by my memory of surfing* on one of the hottest days this past summer in late July with a couple of friends. Although it was 80-85 at dawn (and went over 100 during the day), the water temperature was unaccountably cold. Just finished this 12 x 12 in. painting, which (shhh) will be a birthday present for my friend. *by this I mean, attempting to surf. 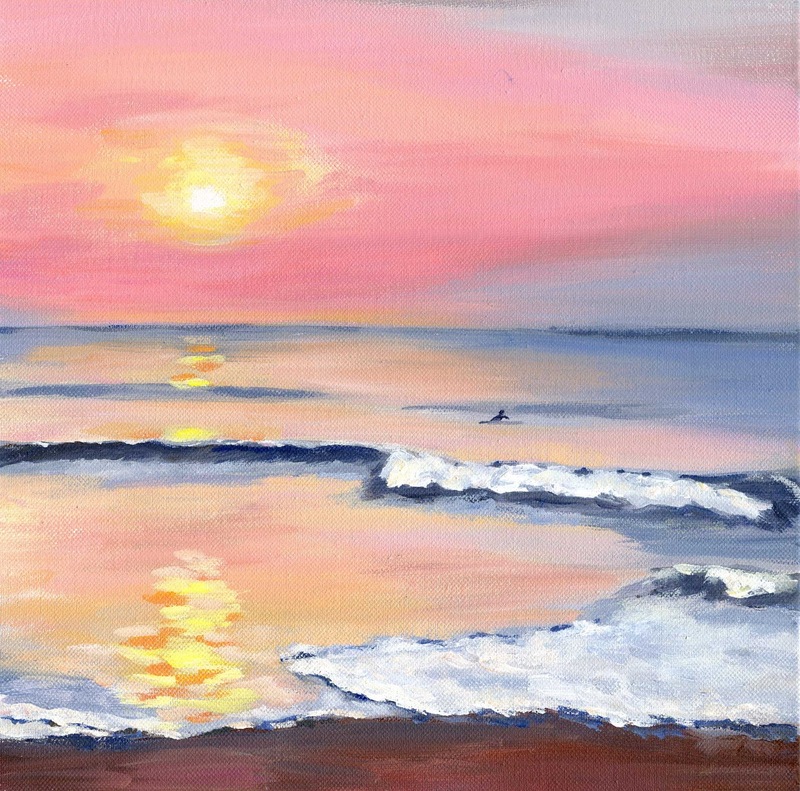 I wouldn't call what I actually do surfing, but it's easier than saying spending a fun morning trying to catch waves, being tumbled about by waves, and chatting with friends while we hang out on our surfboards. 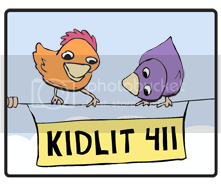 As part of my continuing efforts to discover and read excellent children's books, I will be reviewing new and old favorite picture books. Please feel free to suggest your favorite picture books . . . the ones that stay in your mind long after you've read them. 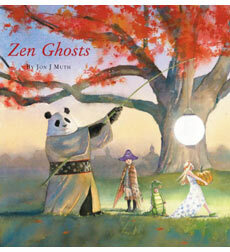 In Jon Muth's Zen Ghosts (Scholastic Press, 2010), Stillwater, a giant panda with a Zen view of the world, goes trick or treating with three siblings and tells them a haunting ghost story about a woman whose soul is separated into two parallel lives, one of love and one of love lost. The atmospheric and luminous water colors complement the Halloween story beautifully. Meanwhile, the ghost story is told with a spare traditional Chinese brush painting style; while these illustrations are not as fully realized as the rest of the story, they are still effective. 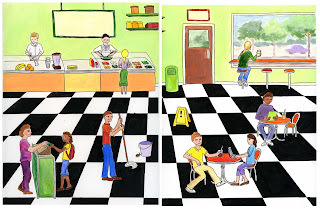 This is a story that readers of all ages can enjoy. I loved the artwork and the Zen koan. My 9 year old daughter loved the "mysteriousness" of the story. My 6 year old was entertained by the clever artwork (for example, the smallest child's monster costume's expressions changed with each scene), but did not like the ghost story because she didn't understand it. It's the beginning of January 2011, and I'm feeling some nice creative energy. 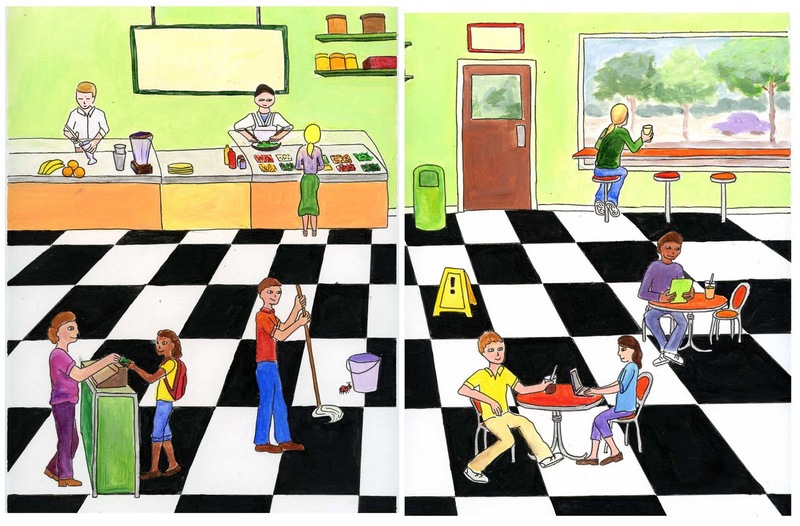 This week I'm finishing up three spreads for the French and Spanish workbooks, which will be posted here. 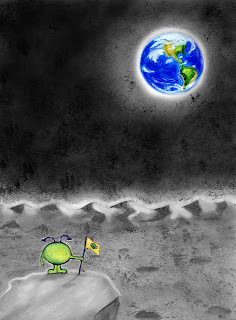 Other January projects include some alien/bunny paintings and revising the dummy for my picture book.